Dido’s Urban Grill is bringing modern culinary ideas and traditional dishes with a twist to Flower Mound’s table. 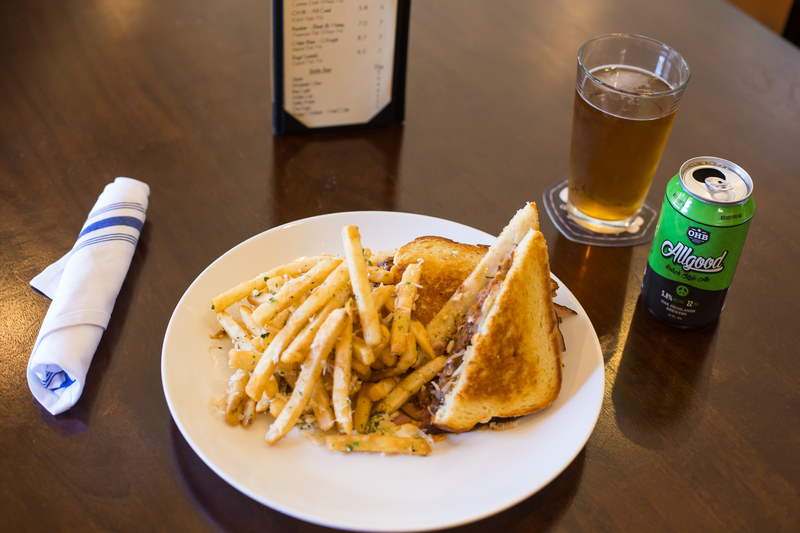 After attending culinary school in San Francisco and working as an executive chef at Beach Chalet Brewery and Park Chalet Beer Garden, Chef Gary has a passion for making great food, especially great food cooked with beer. Opened in July of 2015, Dido’s came charging into the industry with a mouth-watering menu and many rotating, seasonal options. Every week, Dido’s changes up their soup, flatbread, sausage, and chef special—you just have to check the giant chalk board to see what’s new. Family owned and operated, the Dido’s staff will make you feel like you’ve been invited to dine in their own home with their sweet, attentive customer service. 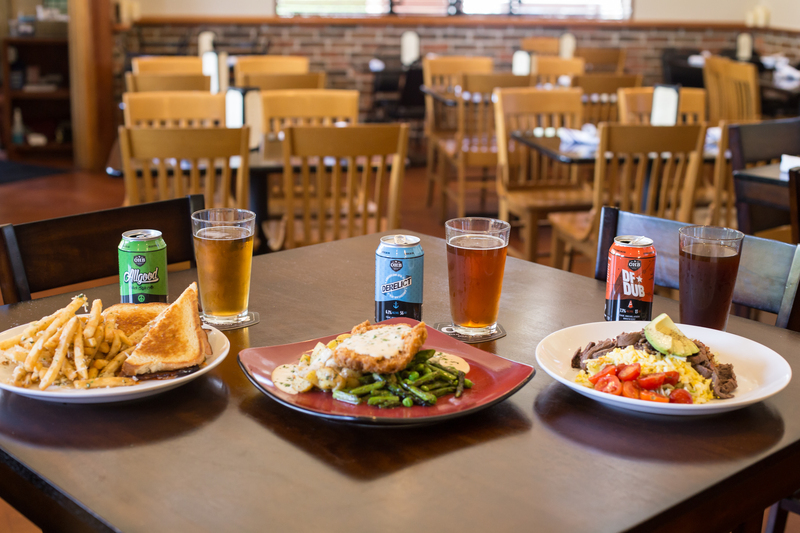 Dido’s offers daily happy hour specials and has a great selection of beer on draft and in cans. When in Flower Mound, this is an obvious choice for brunch, lunch, an afternoon snack, or dinner! 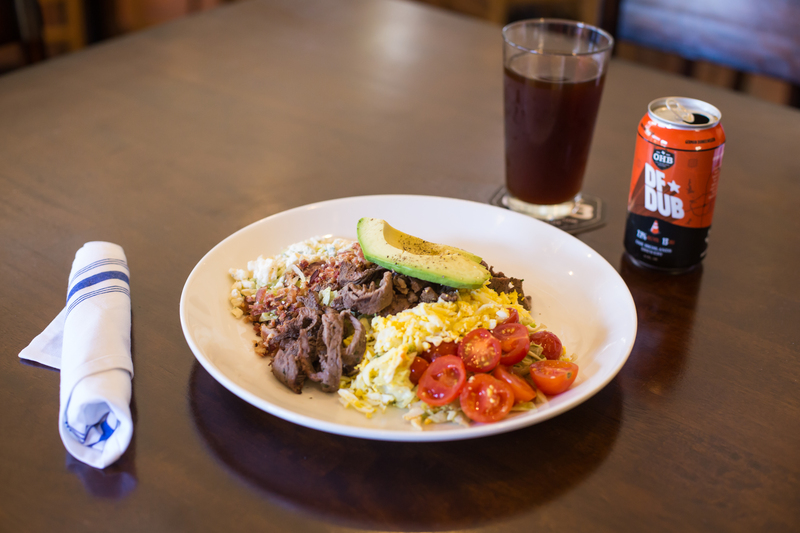 The Grilled Steak Cobb (tomato, bacon, chopped egg, avocado, blue cheese, Worcestershire vinaigrette) with a DFDub. The Cubano (roasted pork shoulder, Niman Ranch bacon, smoked ham, pickles, beer mustard alioli, swiss cheese) with an Allgood. 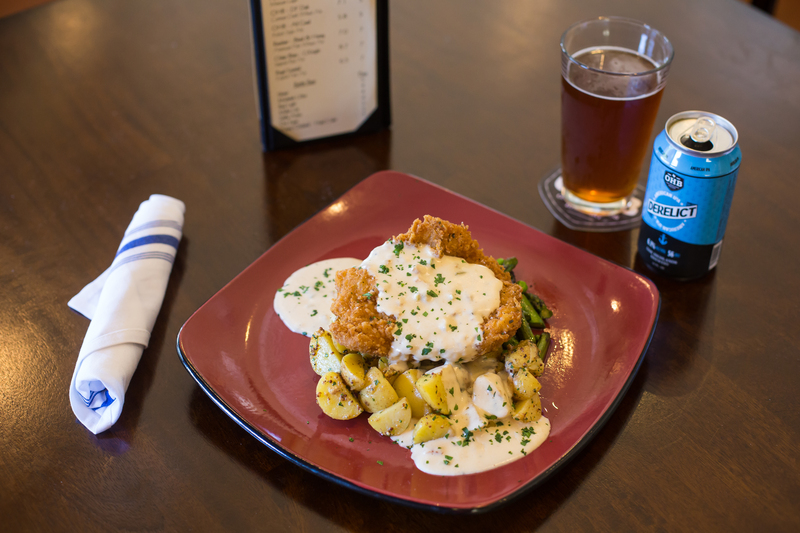 The Chicken Fried Pork (roasted beer mustard potatoes, asparagus and peas, spicy pork gravy) with a Derelict.